There are certain flavors that you expect to find mixed together, and then there are those pairings that, for some of us at least, come as a pleasant surprise. Apple and maple fit into that latter group, at least for me. I can’t recall ever having an apple and maple anything. Nor do I remember ever thinking about combining those two tastes. I have been missing out. A quick search revealed that I was unaware of an entire world of apple and maple delicacies. There are sauteed maple syrup apples, apple maple blondies, maple apple crisps, maple apple upside down cake, apple maple turnovers, apple maple muffins and apple maple galette, whatever that is. I was introduced to this flavor combination by VML Vapors and their Mountain Man line of ejuice. They have a flavor Apple Maple Granola Bar. Apparently the makers of actual granola bars have not figured out how good this combination of tastes is. 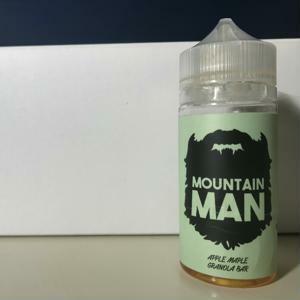 I did a search for “apple maple granola bar” and the page is filled with links to this Mountain Man flavor of ejuice. Mountain Man Apple Maple Granola Bar opens with a sweet and juicy note that’s so expertly blended that it represents a flavor all its own. Yet those individual notes are discernable. There’s a juicy sweet apple with just a little tartness. And then there’s the rich sweetness of maple. But the maple acts more as a garnish, like it was drizzled over baked apples. The throat hit is mild and the vapor is smooth. The aroma is like baked apples fresh from the oven with a hint of maple syrup. I’ve been vaping Mountain Man Apple Maple Granola Bar for a few days and it’s quickly become a favorite all day vape. It’s not too sweet, not too fruity. This ejuice is a wonderful blend of both flavors. 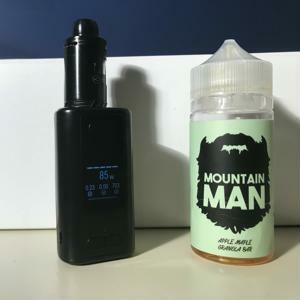 VML offers Mountain Man Apple Maple Granola Bar in 60 ml bottles for $24.95, marked down as of this writing to $18.00, and 100 ml bottles for $29.95, marked down to $24.00. 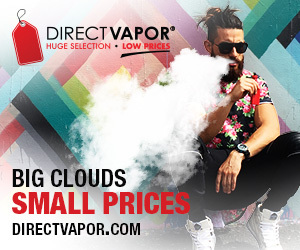 Available nicotine levels are 0 MG, 3 MG and 6 MG. All of the flavors in the VML Mountain Man line are Max VG. I vaped Apple Maple Granola Bar in the Kangertech Iken Kit. VML supplied the bottle of Mountain Man Apple Maple Granola Bar I tested for the purpose of this review. Find out more about VML Mountain Man Apple Maple Granola Bar and order a bottle here.